Guitar and bass is a FREE software for fretted instruments, such as Guitar, Bass, Banjo, Mandolin and more. You`ll get everything a musician need ! Including reference, exercises and practice tools. 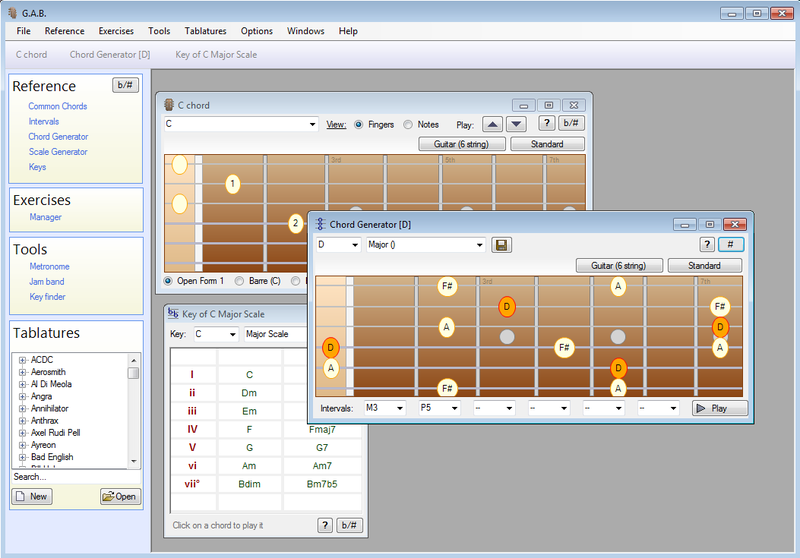 Guitar and bass is a FREE software for fretted instruments, such as Guitar, Bass, Banjo, and Mandolin. (New instruments and tunings can be added too). You`ll get everything a musician need, including: Scale/chords/intervals references and exercises. A Tablature viewer and editor. Ear training exercises. And practice tools. ipass4sure.com Offers Unlimited Download Membership of Over 1200 Certification Test Downloads with Free Study Guides and Free Audio Exams.MB3-207 Microsoft exam training is part of this membership. ipass4sure.com Offers Unlimited Download Membership of Over 1200 Certification Test Downloads with Free Study Guides and Free Audio Exams.350-021 Cisco exam training is part of this membership. ipass4sure.com Offers Unlimited Download Membership of Over 1200 Certification Test Downloads with Free Study Guides and Free Audio Exams.70-305 Microsoft exam training is part of this membership. Ensure Your Success At The SCBCD Certification Today With CertGear\'s SCBCD Exam Simulator, The Most Effective Training Tool For The Sun Certified Business Component Developer Certification (CX-310-090)!